Lazada Malaysia - Parcel marked as failed delivery. why? 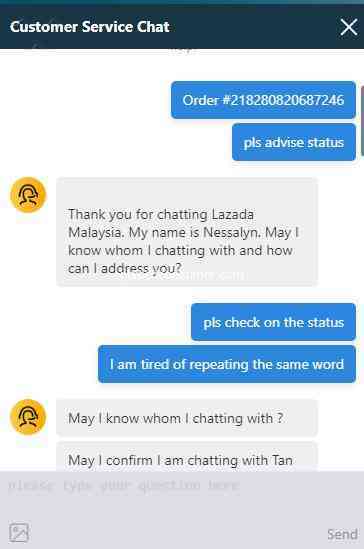 I lose patience with Lazada & Pedigree Malaysia No product received until today. And this took me one month to deal with Lazada and seller. 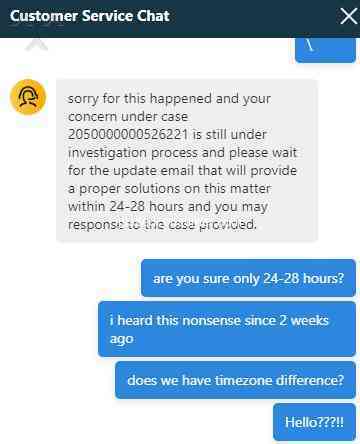 Order #218280820687246 Updated on 4/18: Again, The CS left the chat with no reply. Thank for your poor support and I trust no more on you. Will report to KPDNKK. Lazada refund my money rm99.80 to withdraw.when lazada bankin my money to my bank BSN.when I can take my money at atm bank? As usual, I put my unit and phone number, but the delivery men drop the items somewhere else and then I have to go out and seek for my paid items.. I am REALLY sick of it?! HELLO?? Hi , I Purchased this item and the remote is not working Please advise .